Perfect for exterior deck refinishing, The HTF resists damage if sanding over screws or nails and is sized to sand the entire deck surface quickly and beautifully. 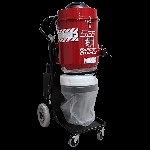 Ideal for interior medium to light duty floor sanding ,refinishing and final sanding of all types of wood flooring. With or against the grain for a score free, superior finish.